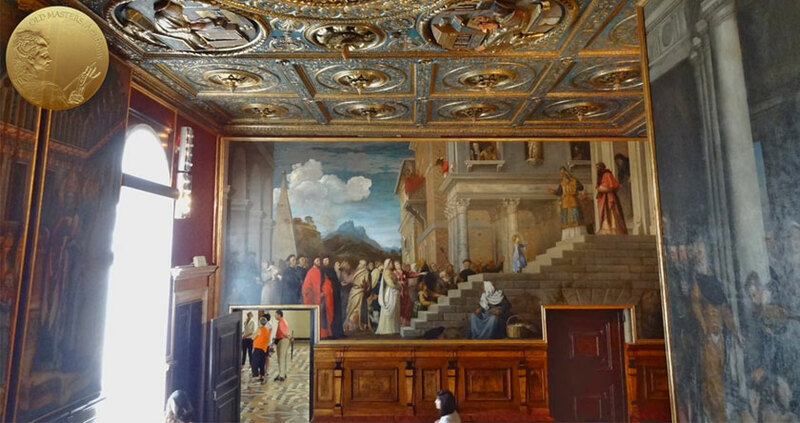 Using panels as a support for oil painting was a common practice in Venice, alongside with canvases. Climatic conditions, humidity, and salt forced artists to reject the idea of creating paintings with the fresco technique and refer to easel painting on canvas. Canvas was especially used as actual support for large-scale artworks. A majority of paintings Titian produced in the first twenty-plus years of his career were executed on panels, following the tradition of previous generations, and less on canvas. 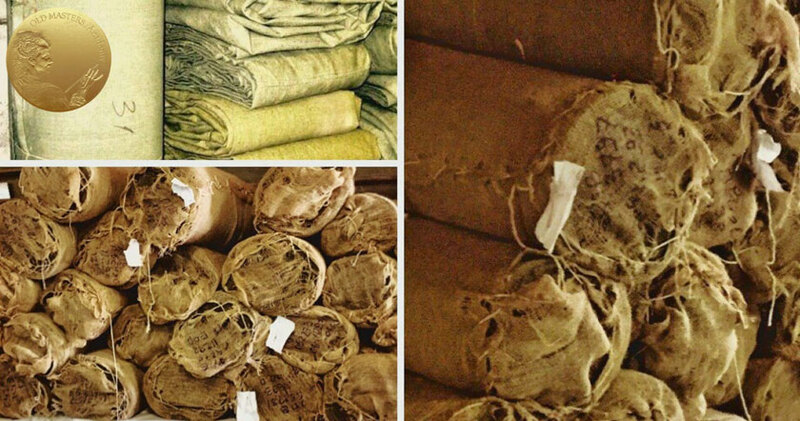 Canvas was available in Venice in many weave ranges, mainly because of the maritime nature of this city and its shipbuilding industry that required vast quantities of sails. Different weaves ranged from plain (also called tabby) weave to twill and more complex variations of twill, such as herringbone. Titian, unlike many other artists, seems to have been quite constant in his choice of weave and weight of canvases for his artworks. Tabby (plain) weave in different weight was his primary choice. These paintings were painted on fine, plain weave canvases – Bacchus and Ariadne, the Portrait of Gerolamo Barbarigo, Noli me Tangere, Aldobrandini Madonna. As you can see, all the paintings are notably refined in their execution. A coarser, plain weave of canvases was also used, depending on the result an artist wanted to achieve. Such canvases were rougher, with visible texture. Less often, he chose twill weave canvases (Portrait of a Lady and The Triumph of Love). Sometimes there were unusual choices of canvas, like in the case of Bacchus and Ariadne. Paintings of such dimensions have unusually fine weaves. 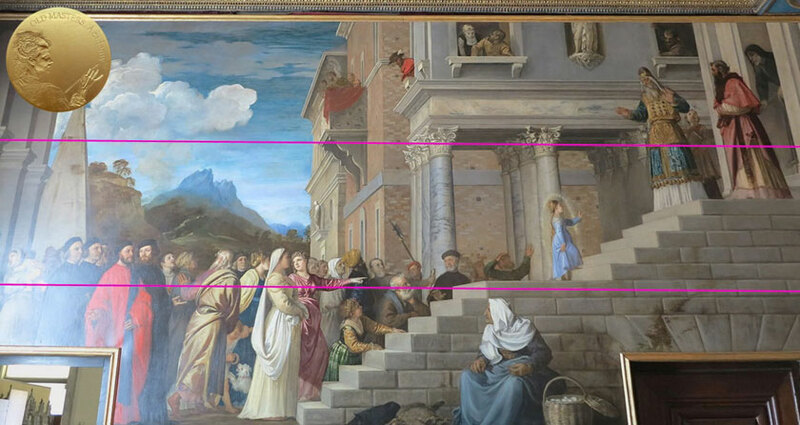 But in this particular case, we know that the canvas was sent to Titian by the commissioner already sized and primed with gesso. It was the choice of the commissioner to have such an extra refined support, which helped Titian execute an equally refined painting. Another example of late artwork by Titian is Portrait of Doge Andrea Gritti, done in an exceptionally rough manner. By the way, it has been suggested that this portrait was influenced by Michelangelo’s statue of Moses. 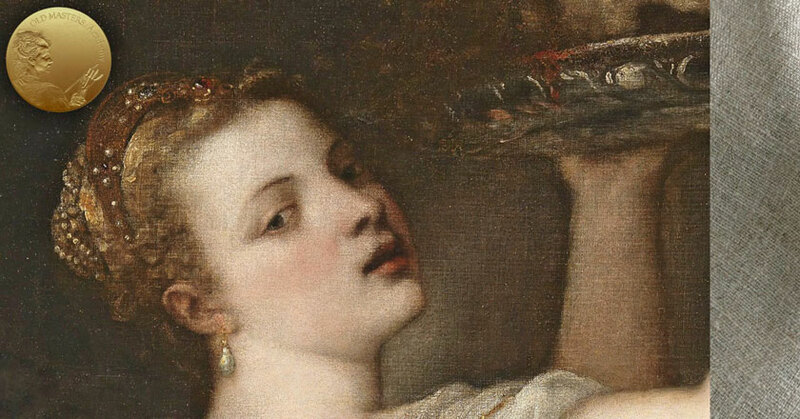 Many of Titian’s paintings have been relined, badly restored, damaged, or simply degraded with time. But this portrait is a lucky case of almost excellent preservation, including its original canvas. 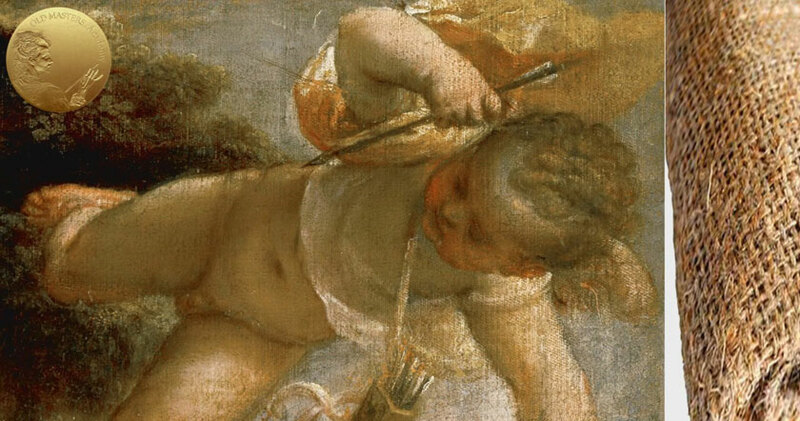 At this stage of his life, Titian’s technical approach had already shifted from smooth and delicate rendering of paint to a bold and straightforward application of energetic brushstrokes, relying on the tooth of the canvas. The right choice of canvas enhanced the conceived task. The weight, weave, and texture of the canvas determined its ability to hold paint in particular ways. The rough tooth of the canvas helps create interesting pictorial effects. Here is another interesting fact: The width of a loom, at the time, was usually up to 1 meter wide (about 40 inches) so, it was possible to produce canvas as long as he needed, but only up to 1 meter wide. Consequently, for large size artworks, two or more pieces of canvas had to be stitched together. Recent conservation indicates that this late work of Titian, which have large dimensions, is constructed of seven pieces of canvas. 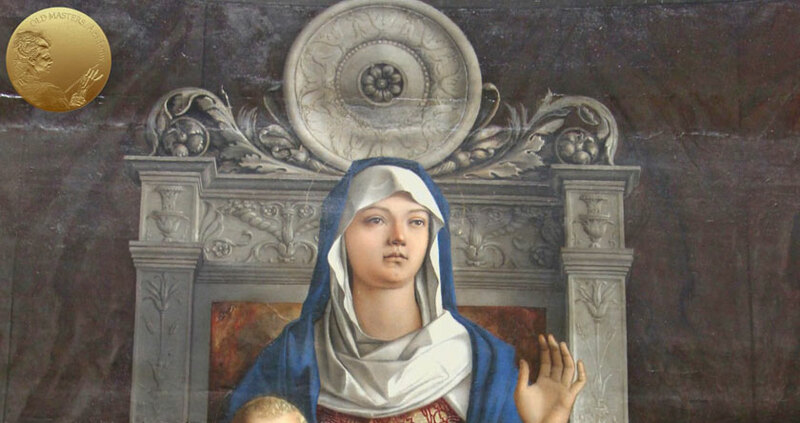 The central section of the Virgin and Christ is painted on a reutilized canvas. 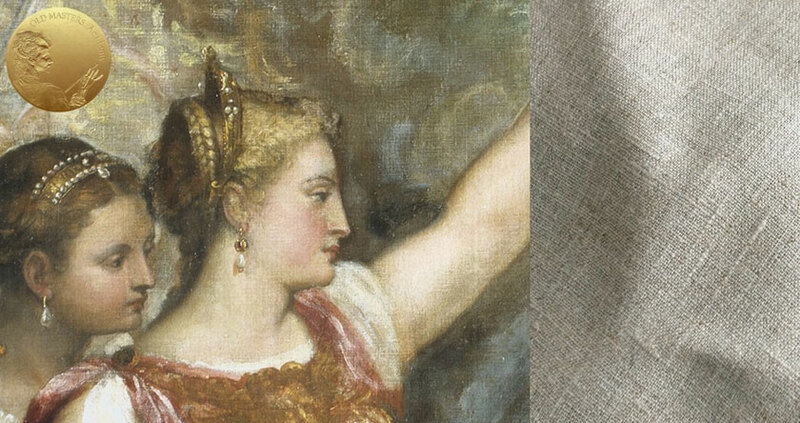 Each of the other six canvases stitched to this central part is of varying weave and texture, suggesting that Titian used what he had at hand in his workshop, either because he was in a hurry or because he kept unexpectedly expanding the painting as he went along, or perhaps both. Such spontaneous modification is, of course, is a characteristic of a Titian and Venetian painting, in general.